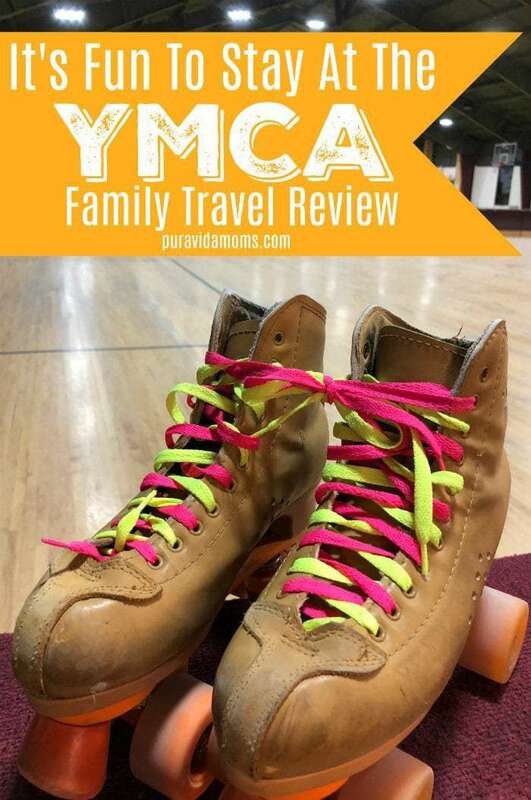 YMCA Snow Mountain Ranch is the perfect Colorado getaway for all ages- soaring mountain views, hikes, and fun activities like swimming, rollerskating rink and craft cabin. The perfect affordable family vacation in Colorado! 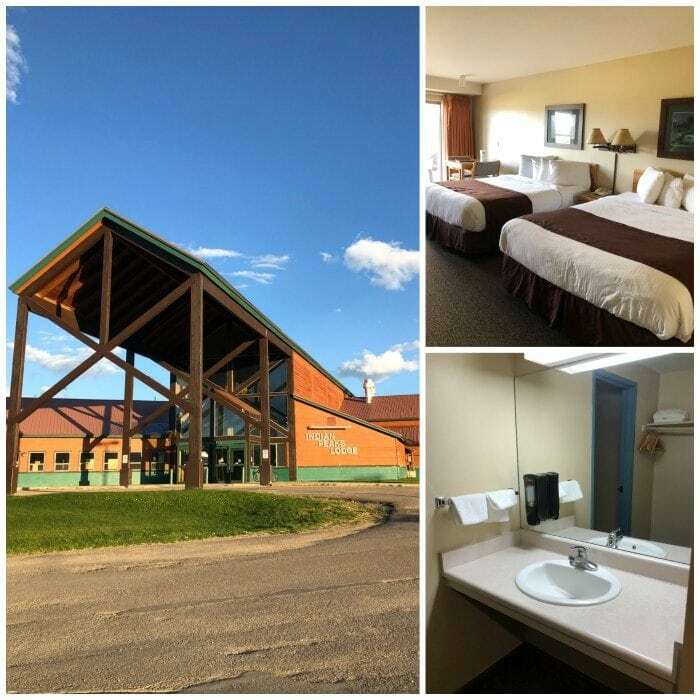 We had the pleasure of spending the weekend at YMCA Snow Mountain Ranch here in Colorado a couple of weekends ago, and it was one of the most relaxing and fun vacations we have had in a long time. We headed up on a Friday around noon to beat the notorious 1-70 traffic, and spent an almost entirely unplugged weekend as a family exploring some of the best of the Rocky Mountains. There are several types of accommodations at Snow Mountain Ranch, everything from campsites and yurts to cabins of all sizes (one even sleeps 44 people!) but we stayed in the Indian Peaks Lodge, which sits right in the middle of the property and is near the dining hall. We had a super comfortable room with two double beds, a patio looking over the mountains, and a microwave and refrigerator. The room was like a hotel room- without the tv, which I loved! Little Sister got into the room and climbed into the bed and said “mommy, turn on the tv!”- since that’s what we usually do in hotel rooms while my husband and I unpack. I just laughed and said “which tv?” It was awesome to be unplugged. There is wireless internet in the main areas of the YMCA property, making it a great place for work retreats, etc, but I didn’t tell the girls about it and we enjoyed a screen free weekend. Once we got situated in the room, we were ready to explore all the YMCA Snow Mountain Ranch grounds. At check in we had received a great map of the property and information about all of the activities available to us. There are tons of free activities included with the room, (and we tried almost all of them) but we love to hike so we hit the trail for a late afternoon hike at the reservoir. After our hike we headed to the dining hall- it’s easy to purchase meals along with your stay and eat right at Snow Mountain Ranch. Since our room was a good 15 minute drive from the nearest restaurant, we loved just walking over to the dining hall where we ate all our meals. I’m definitely not going to give the dining hall a glowing foodie review- the food is cafeteria style, healthy, and pretty simple. There’s something for everyone however, including vegetarian, gluten free, vegan and paleo options. Plus there’s an ice cream cart after lunch and dinner, and a fruit basket. We were never hungry, but the food isn’t necessarily something to write home about. That said, I would pick the dining plan option again in a heartbeat. Many of the cabins have full kitchens, which is something to note. Saturday was our big day for activities. We had checked out all the available options online before our stay, and Big Sister was all about the Craft Cabin, so that’s where we headed as soon as it opened at 10. 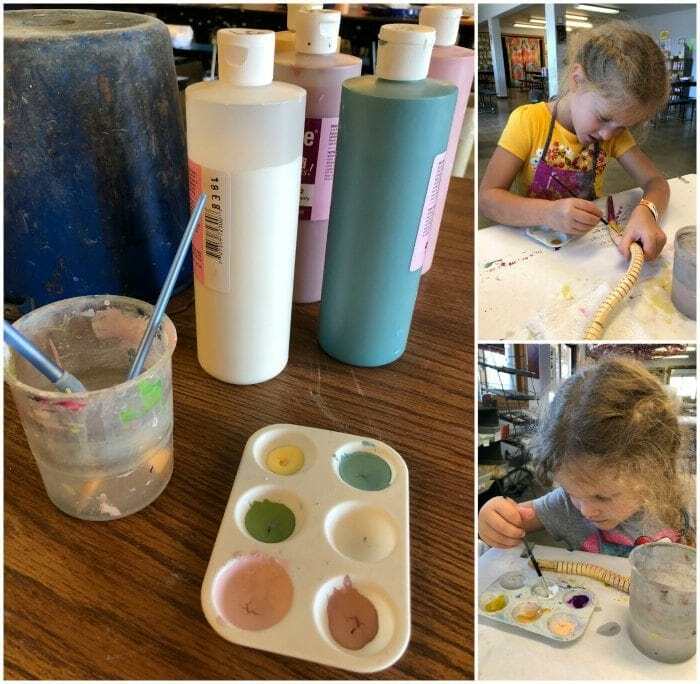 There were tons of fun craft projects of all lengths and difficulties, but for some reason my kids really wanted to paint wooden snakes. So that’s what we did- returning later to make family leather name bracelets. I could have spent two full days in the craft cabin- it was so relaxing and the staff was super attentive. There is a cost for all projects, and credit cards are accepted right at the cabin. Next we did the summer tubing hill which was amazing. It’s included with your stay, or you can grab a day pass at the office and it’s included in that fee as well. 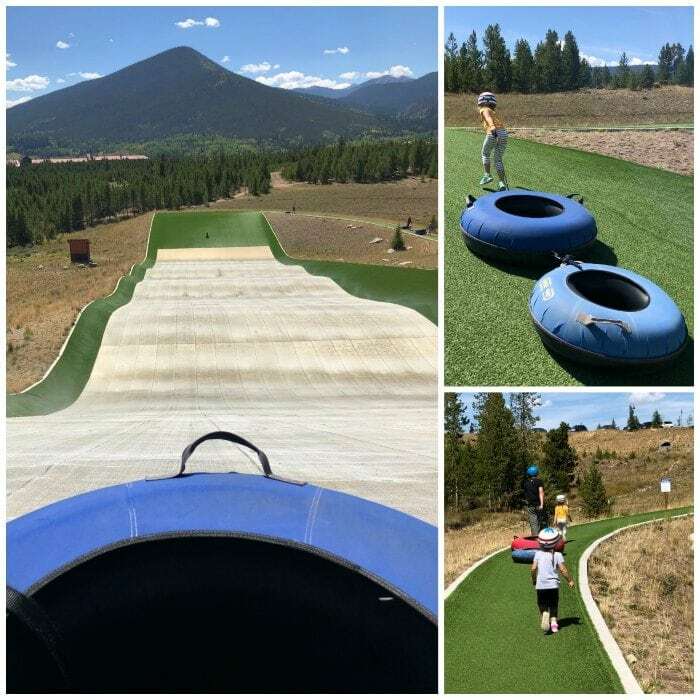 You just need to make a reservation for your time, and then you have one hour to enjoy the summer tubing hill as much as you want! We were outfitted with really nice helmets, and each adult tube had a smaller tube attached so we could ride tandem with our little ones. After a thrilling zip down the hill, a people mover took us back to the top for another round! This was Little Sister’s favorite part of the weekend, and she kept asking when we could do it again. In the afternoon we took a long, leisurely and well-deserved nap before heading to the playground. There are more playgrounds on the property than I can count, but there was a new, big playground near the yurts called the Spruce Adventure Zone. It’s a multi-level playground complete with a min-zip line and climbing wall, and the girls played there for hours. While they played with their dad, I headed down to the Day Camp Building for a 5:30 yoga class, which happens on Wednesdays and Saturdays. The class was so amazing- a good mix of regulars and tourists, and a mix of levels- and I left feeling relaxed and refreshed. After dinner we headed to the roller skating rink. We had never taken the girls roller skating, and it was a riot. There’s a nice rink, skates for all sizes, and some music playing. The girls rolled around and fell a lot, and it was a good, old fashioned fun time. They even played the YMCA song, which my girls had never heard. I taught the them the hand signs and we are still singing it to this day. Super fun. A note- there are carpeted walls around the rink for new skaters to hold on to, but there are not the kid trainers for learning. We skated about 20 minutes before my pack was too tired of picking the kids up from their falls. We all loved it though! There’s also an indoor swimming pool on the YMCA Snow Mountain Ranch property, but we never made it! There are also horse rides available which we really want to try too. I guess we will have to go back! Sunday was our last day and the girls wanted to hike again and play at the playground, so that’s what we did. We headed up to the 9 Mile Mountain Trailhead on the edge of the YMCA Snow Mountain Ranch property past the family cabins- on our way we spotted a beautiful deer, a fox, and tons of birds and butterflies. The Aspen trees were changing beautifully for Fall and we didn’t see a single other person on our hike. It was the perfect way to end the weekend in the mountains. Our trip back down to Denver took us just 90 minutes, which was a huge blessing, and we made it home in time for a relaxing afternoon and early Sunday night bedtime. We can’t wait to go back! 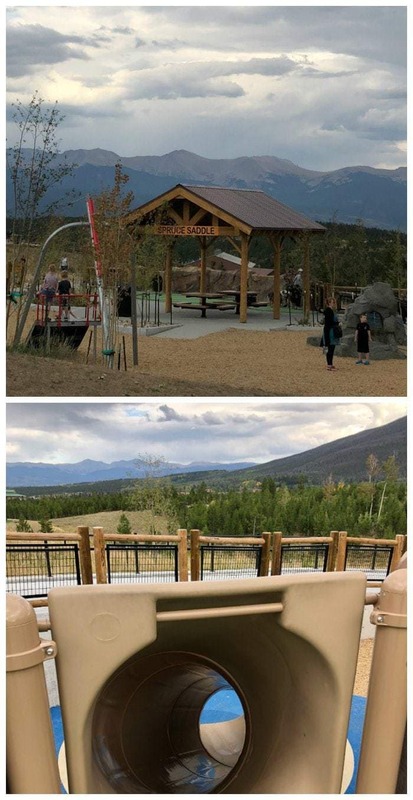 Make sure to check out all of YMCA Snow Mountain Ranch’s rates, activities and special events on their web page– I highly highly recommend the experience! Disclosure- I was provided accommodations and meals for myself and my family for a weekend visit in exchange for this review. All opinions are my own. Looking for more Colorado Travel info from Pura Vida Moms?